Truth: I do a lot of baking with greek yogurt and eggs. Not exactly vegan-friendly! And while I'm not vegan myself, or gluten-free entirely, I love making recipes that are nourishing, simple-to-make, and satisfy what YOU want! Some of you are allergic to eggs. Some of you are entirely vegan and have to adapt most of my recipes to some extent. But what I heard from you, via my blog's Facebook page is that you want more compltely vegan recipes. Soooooo, voila!! These are gluten-free because I used brown rice flour, my new favorite friend. And they're vegan because they don't use any dairy, any eggs, or any butter. And yet... they are still absolutely delicious!! 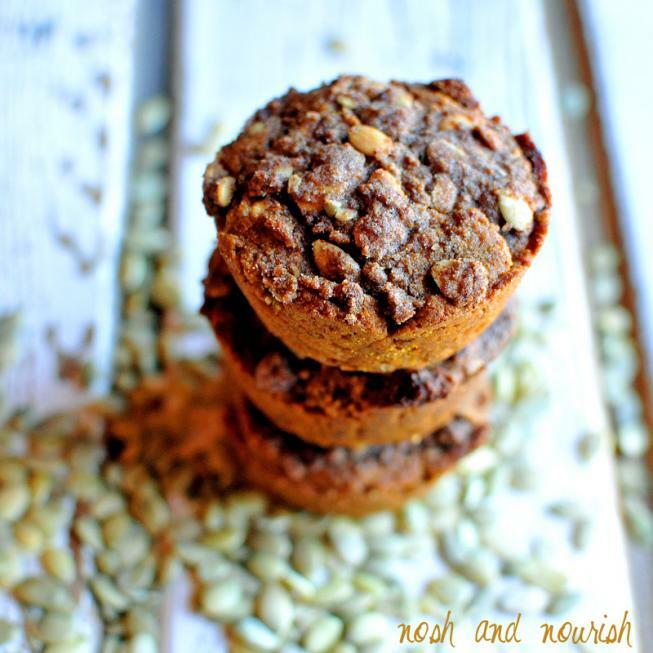 A dense pumpkin muffin, rivaling Starbucks' pumpkin bread, that is sooooooooo much healthier! 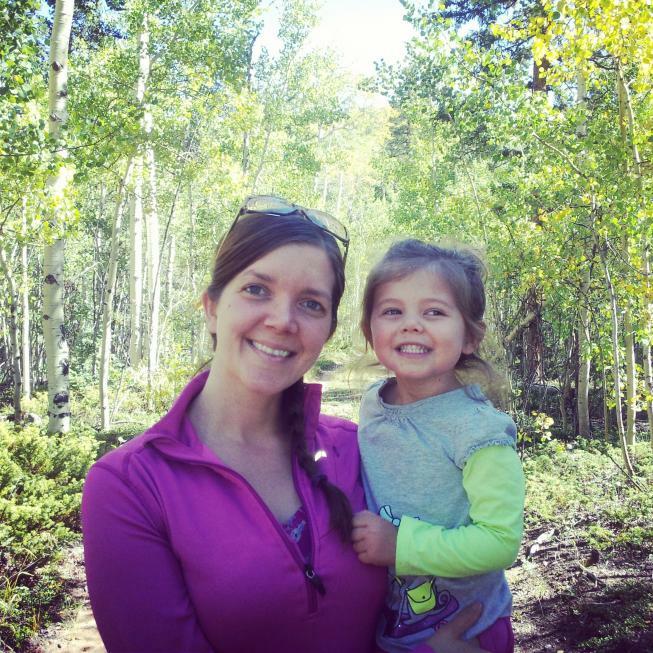 Besides baking up these scrumptious muffins, we also went out hiking amongst the aspen trees. We were about 2 weeks too early for the really vibrant yellow/orange colors, but it was still a beautiful day!! 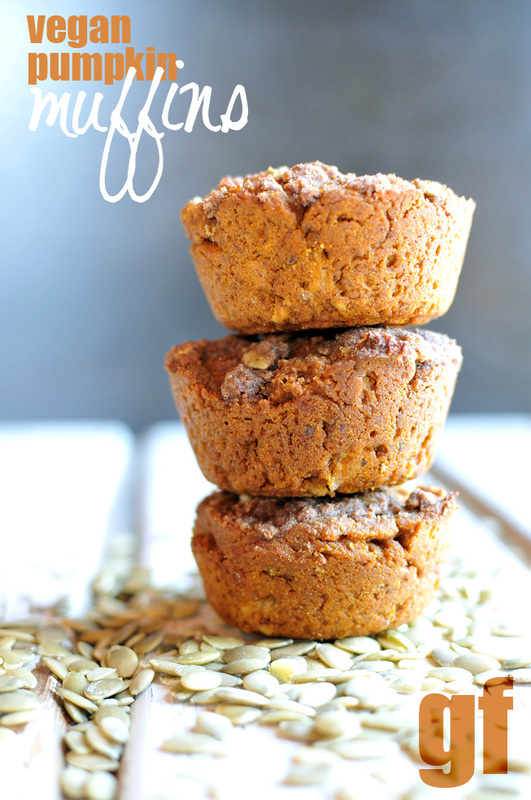 Or try my non-vegan Pumpkin Streusel Muffins, recipe here. Have you ever done any vegan baking? Will you try it?!?! Mix together the 2 tbsp of flax and 4 tbsp of water in a small bowl. Stir vigorously with a fork, then refrigerate for 15 minutes while you prepare the rest of the muffins. Add together the remaining non-streusel ingredients in a large mixing bowl (Brown Rice flour through Coconut Oil). Stir in the flax / water combo into the muffin mixture. Spoon the muffin mixture into each muffin cup to the top. Combine the streusel toppings in a separate bowl. Spoon a small portion of streusel onto each muffin, being sure to press it down into the muffin. Let cool for 5 minutes, then devour!